"From the moment we walk in the door at Tiny Texans we are greeted with smiling faces and sweet ladies. The theme of the office is adorable and the waiting area has toys for kids of all ages to be entertained. You won’t wait there long though! We are always in and out super quick, Dr. Cristina is very thorough and informative in her appointments, and with my two littles it is always much easier than I expect taking them to the dentist. So glad we found Tiny Texans!!" "The doctor was very patient with my boys, and very pleasant. She answered any concerns I had, and provided great information. I highly recommend this place!" "This place is amazing! All our prior experiences with dental visits have been met with lots of tears and anxiety. I am so thankful to have found you guys! My children jump out of the car and run to the door at every visit! Dr Cristina is phenomenal, she is so incredible with the kiddos and we've had the pleasure of having Stephanie as the assistant and she is for sure my son's favorite! I am beyond impressed with all of the staff and care at Tiny Texans! Finally we have a dental care facility we can depend on!" Welcome to Tiny Texans Pediatric Dentistry. It is our mission to treat your children as we would treat our own kids, and we do this by emphasizing preventive care in a safe, comfortable environment. From the time your child is a toddler all the way through the teen years, we want to be your home for caring pediatric dentistry. Dr. Christina is a board-certified pediatric dentist who specializes in meeting the dental needs of children. Together with her well-trained team, she provides exceptional care to ensure the health of your child’s smile. Our office has been carefully designed to ensure the comfort of kids and their families. 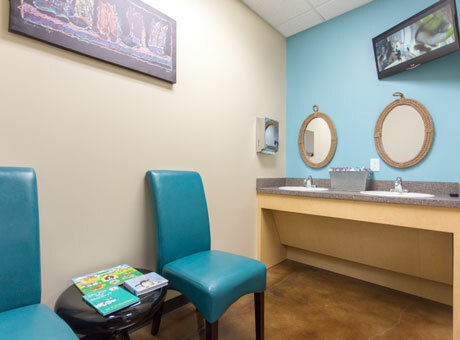 From our brightly colored waiting room to the private treatment rooms, we have done everything to make sure you and your children enjoy your time with us. 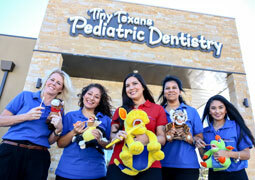 Tiny Texans Pediatric Dentistry is your child’s home for caring dentistry. 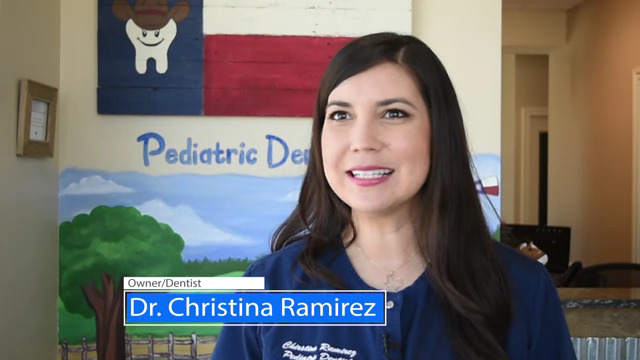 Dr. Christina Ramirez is a board-certified pediatric dentist specializing in dental care for children of all ages. She offers a safe and comfortable environment where infants, children, and teens can receive the quality dental care they deserve. Dr. Christina also has specialized training in providing dental care for children with special needs. 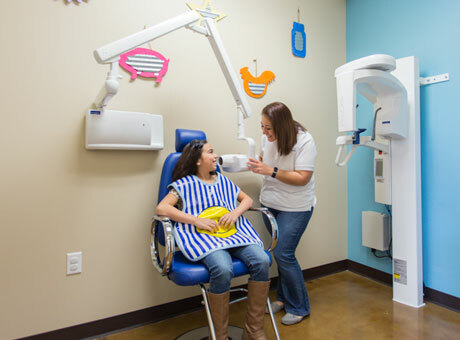 Whether you are searching for a local children's dentist in Austin, TX, or the surrounding areas, we offer exceptional care for keeping your child’s smile healthy. 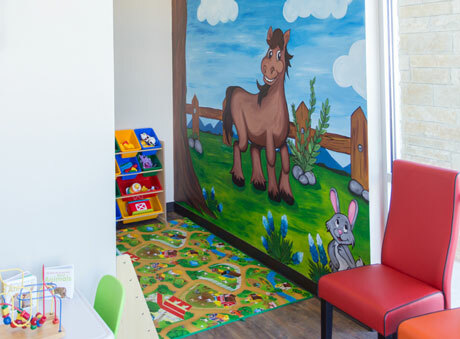 At Tiny Texans Pediatric Dentistry, your child will enjoy their visit to our dental office, which is stocked with brightly colored toys, cartoons, and games. 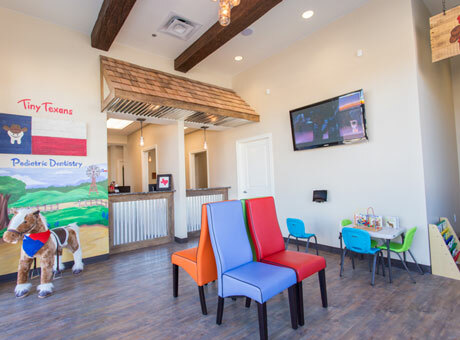 Our child-friendly dental office caters to the needs of our small patients so they can feel at ease and relaxed. Dr. Christina and her staff have many years of experience treating children, and we offer a gentle and communicative approach that children benefit from. Your kids are the most important people in your life, and we will treat them accordingly. Our practice emphasizes preventive dentistry and patient-parent education. We want to ensure that our patients and their parents are equipped with the tools necessary to promote healthy habits at home. At our dental practice, we use child-friendly terms so that each patient understands the dental processes. Parents are an essential part of the oral health equation, so they are always able to accompany their kids to the treatment room during appointments. We are also available for emergency visits when your child needs to see one of the best children’s emergency dentists. We provide our emergency dental care at the same high level of care as our standard children's dentistry services. Good communication is essential when parents are trying to make decisions about their child’s oral health. 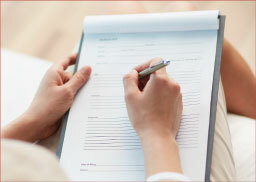 When we recommend treatment, we will do everything we can to ensure you feel good about the decision you are making. Our treatment approach is conservative because we know most parents want to avoid any procedures that are not absolutely necessary. We will inform you of the costs of treatment up front so you are not surprised with extra costs. We can also talk to you about our flexible payment options. We don’t want finances to get in the way of your child getting the best in dental care. At Tiny Texans, we provide our dental services to both new and existing patients in Austin, TX, and the surrounding areas. 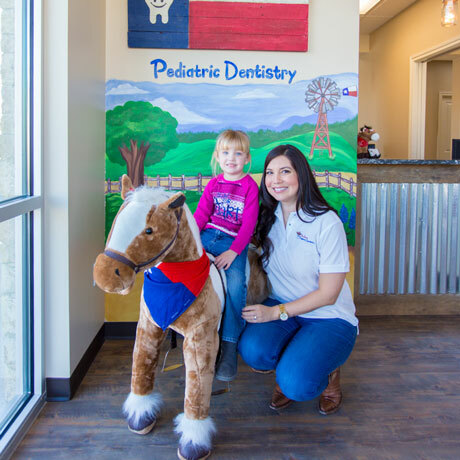 We are always welcoming new patients needing care in the field of pediatric dentistry. If your child is ready for his or her first dental exam, give us a call. Our exceptional dental skills and incomparable compassion make us an excellent choice for pediatric dentistry. We look forward to helping your child start a lifelong journey to oral health. Why bring my child to a pediatric dentist instead of a general dentist?